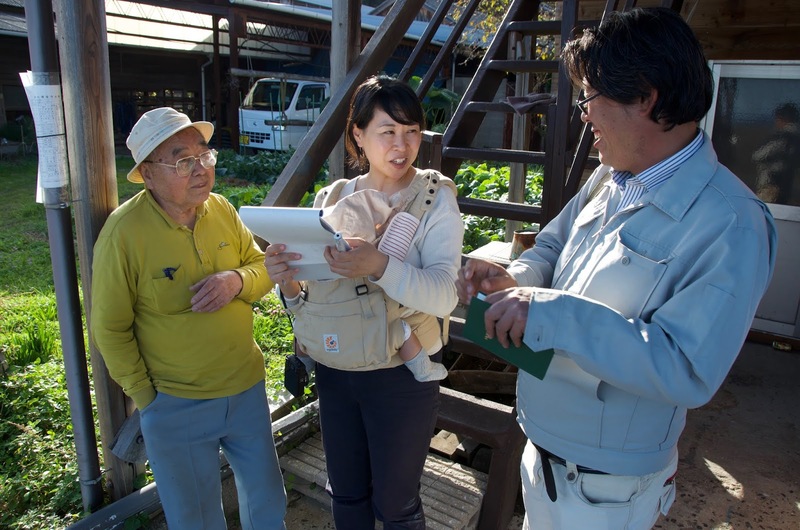 I met with Ms. Migiwa Imaishi, a researcher I collaborated with on last year’s project building a cormorant fishing boat in Gifu, Japan. See here. She staying in the Hiroshima region while on maternity leave and she had met the craftsman building cormorant fishing boats for the fleet in Iwakuni, just west of Hiroshima. 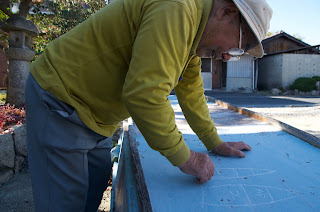 Before we met with Mr. Hashimoto, we sat down to review the manuscript I wrote on building the cormorant boat. Her organization, an arm of the Ministry of Culture, will be publishing this book in 2020. 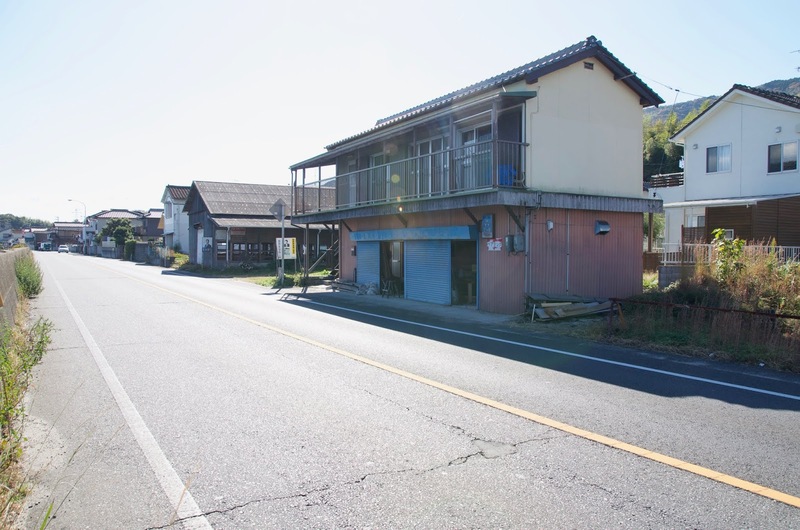 We found Mr. Hashimoto’s workshop in a small building right on the road along the shore. He was working on some small cabin tops for boats and had just finished fiberglassing them. 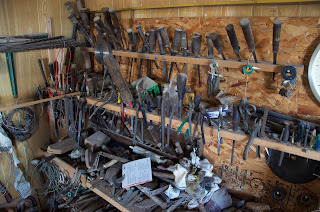 His tools were stored along one narrow end wall. He spoke very quietly and I had to strain to hear and understand what he was saying. You’d call him shy for sure, but Imaishi had told me Hashimoto said he usually threw people out of his shop when he was working but that he’s realized it would now be important to have someone document his work. Hashimoto san is 86 and he thinks he’s a third generation boatbuilder. 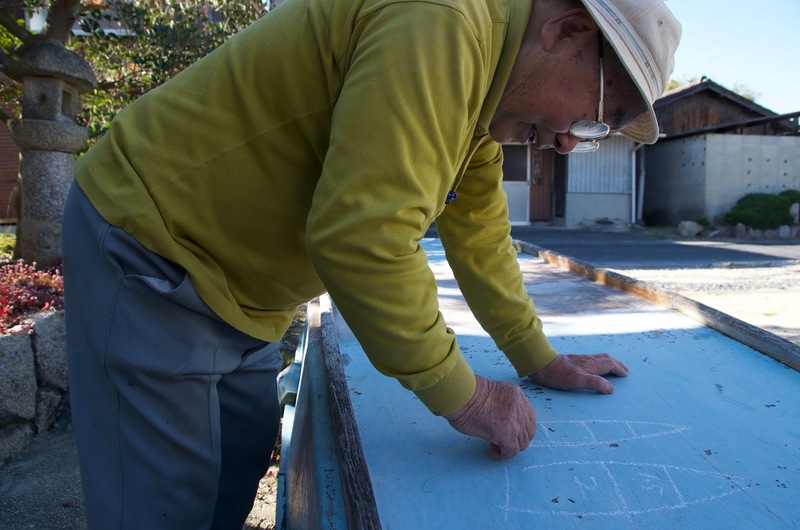 He built 10-12 meter amibune (net fishing boats) during most of his career. He was limited to building boats less than five tons. 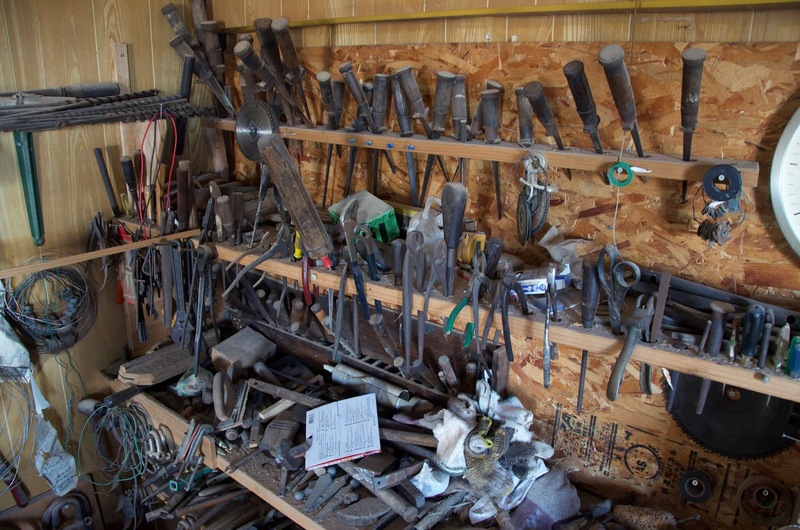 He worked with his father and then basically alone and never had an apprentice. Occasionally he hired helpers. During the busiest times he was building 5-6 boats a year and fishermen had to wait two years for their boats. There were five boat shops along the shoreline of his town and his customers came from his immediate locale. 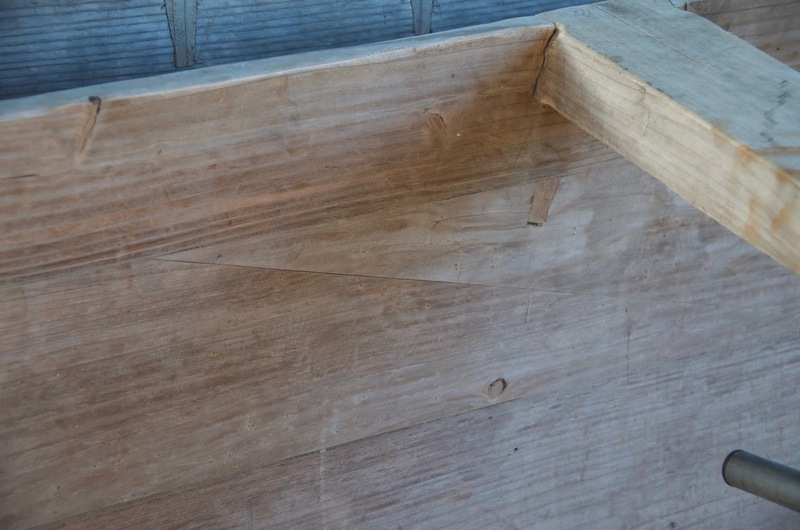 He sketched out his method for laying down lines on the bottom of one of his boats. 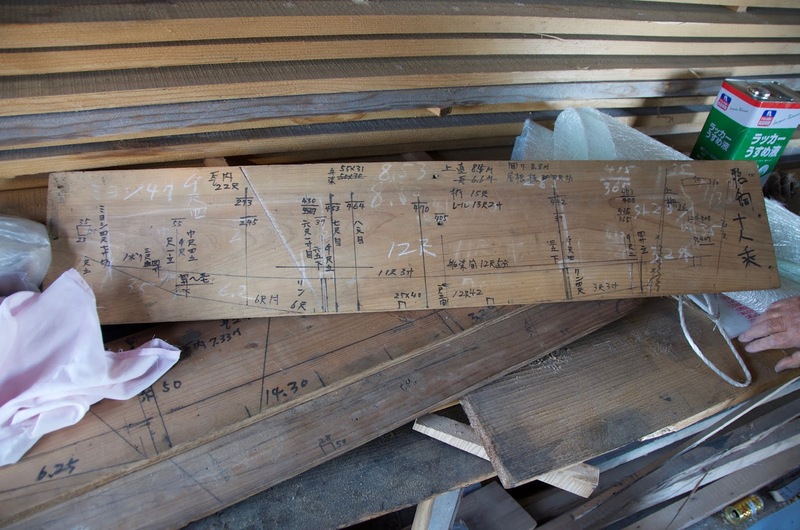 A marking gauge his father made. Two of Hashimoto's wooden fishing boats (the bow bulbs also made fo wood) hulls now fiberglassed. 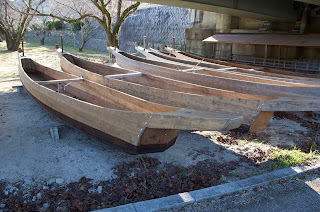 They are the last wooden boats in the harbor. He’ll soon start building a 12 meter tourist boat and when I asked where he’d be building it, he said outside next to his shop. There we looked at a small boat he had built, then cut in half and made a center section for to lengthen it. He invited me to come help him and seemed sorry to hear that I live in America. 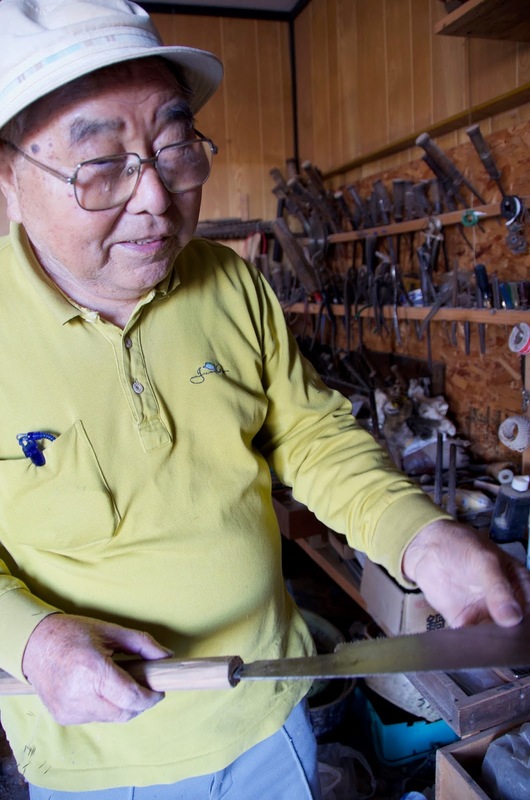 Fifty years ago he started building cormorant fishing boats for Iwakuni, taking over when the previous river boat builder died. 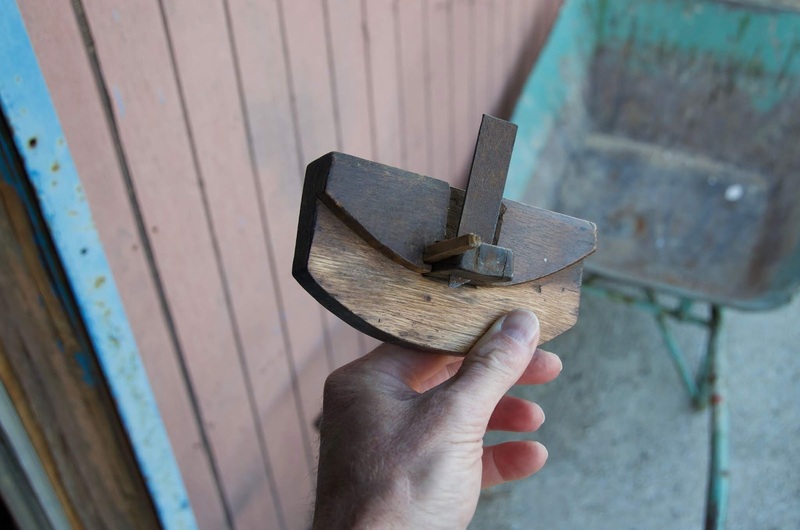 In the old days river and sea boats were built by different craftspeople. After saying goodbye we walked down to the harbor to see a couple of his larger fishing boats, the last wooden boats in the harbor. 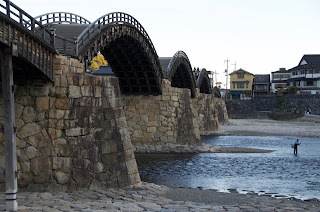 Then we went to Iwakuni. 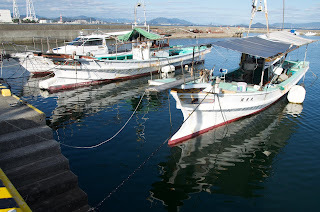 Seeing Hashimoto’s boats here was a revelation. 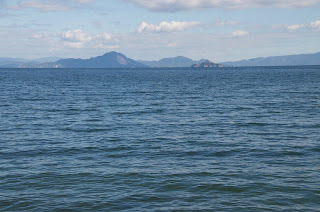 He built both the cormorant boats and the larger tour boats that carry passengers to watch the fishermen. The latter are significant boats and according to the person we met there Hashimoto built all of them, a prodigious output. 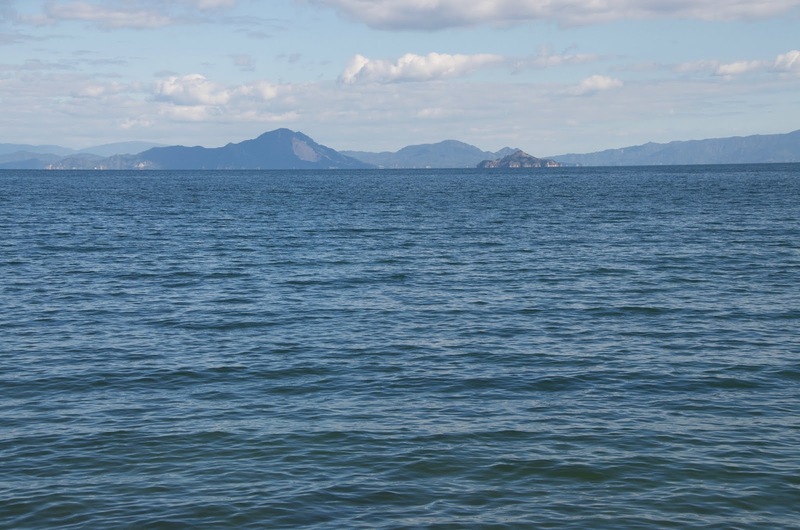 His cormorant boats are shorter than the one I built in Gifu, but basically the same shape. 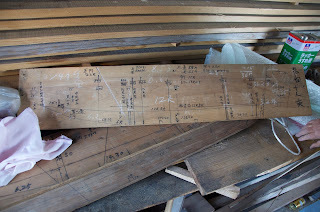 All the planking is cedar and almost all is full length, no scarfs in either the bottom or side planking. I noticed the bottoms are perfectly flat. Many small details are different as well. 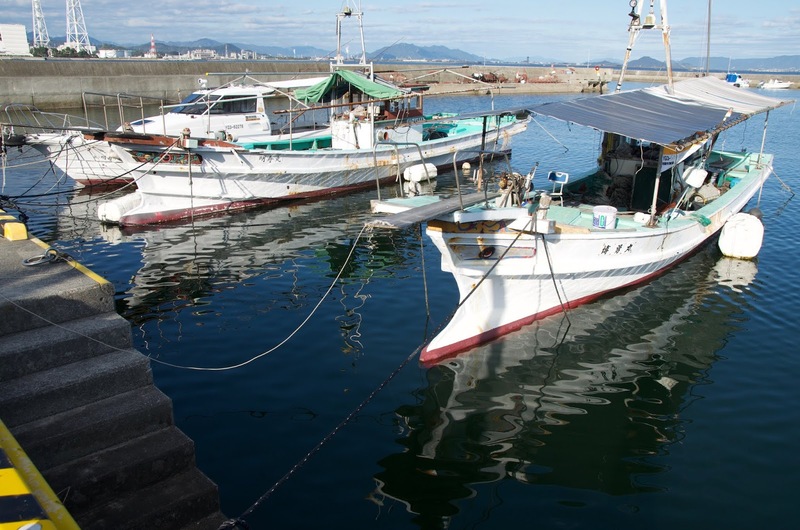 There was one boat from Seki there, donated to the local fishermen after many of their boats were lost in a typhoon. 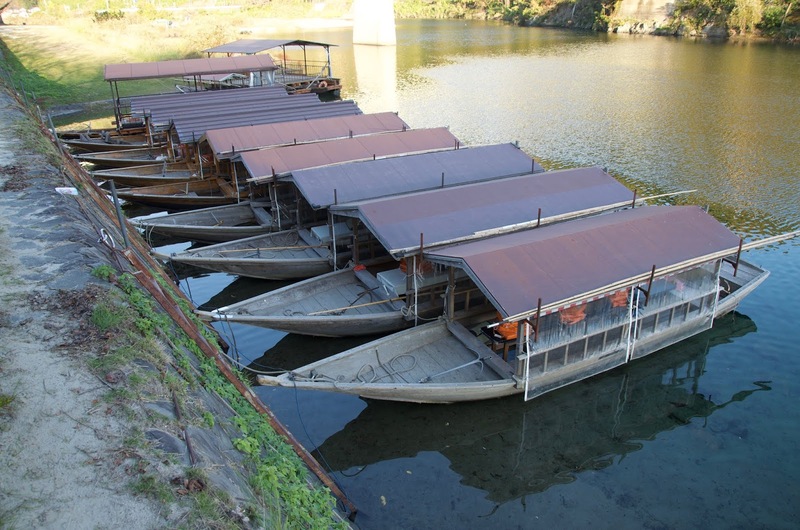 Hashimoto's cormorant fishing boats in Iwakuni. A rare scarf in the planking. The fleet of tour boats he built. The famous bridge at Iwakuni.